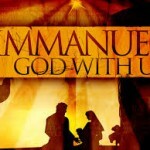 This is the third preachment on the Christmas series “Immanuel God With Us.” Pastor Steve looks at only one verse this week on the blessed incarnation of the Lord Jesus Christ, but it is a rich and powerful verse. Hebrews 2:9. May your hearts be strengthened and encouraged in the gospel! August 10 This week Pastor Steve delves deeper into the meaning of the marriage supper of the Lamb (Rev 19:7-10) where Jesus’ Bride is glorified and home with Him forever in unending praise. May this hopeful message encourage you to further faithfulness in your daily walk with Christ! July 6 – This week pastor Steve begins Romans 11:1-10 on the powerful truth, “God Never Rejects Those He Foreknew.” We hope your hearts are encouraged and strengthened in the full assurance of God’s sovereignty over His remnant people! 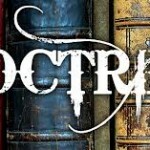 June 29, 2014 Pastor Steve finishes the epic chapter of Romans 10:11-21 under the title, “Beautiful Feet – Proclaiming the Gospel of God.” Do you know the secret to having power in evangelism? Listen this week to unlock its truth! 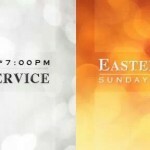 Celebrate the Risen Jesus With Us! 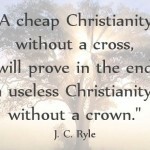 Word/Faith Prosperity Gospel… is it biblical or heretical? Pastor Steve looks at the Word of God in response to Dr Brown’s questions concerning false teacher Benny Hinn and his nefarious prosperity gospel.